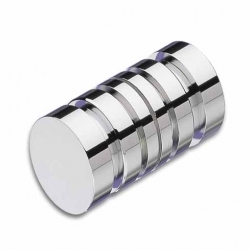 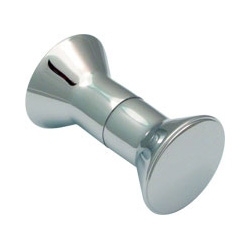 Back to Back Crescent Grip Style Knob, available in various finishes. 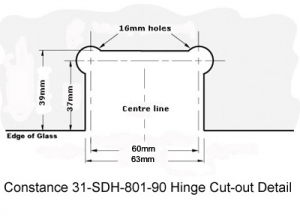 Requires a 10mm hole in the glass. 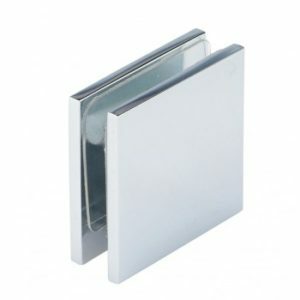 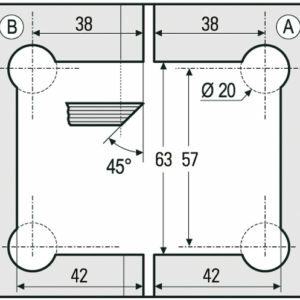 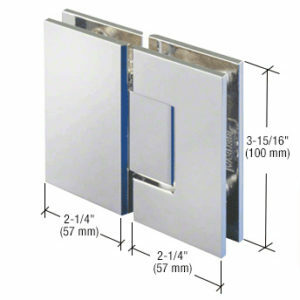 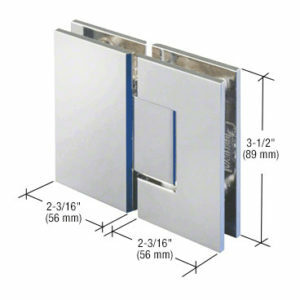 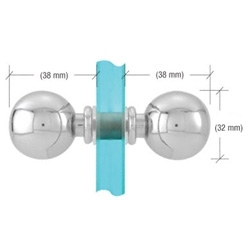 Magnetic Seal for 180 Degree aligned Door. 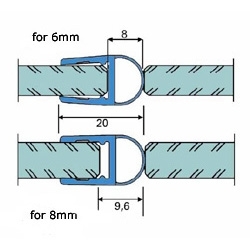 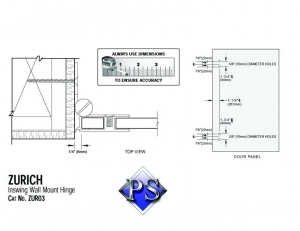 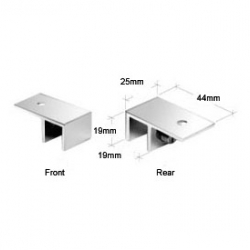 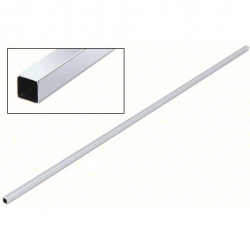 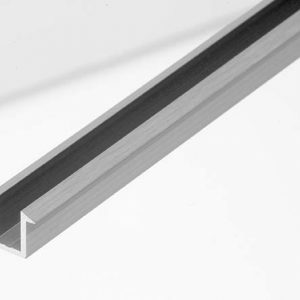 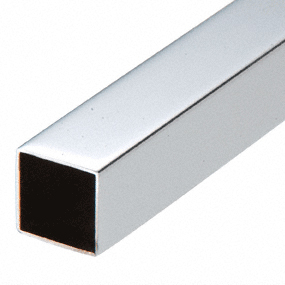 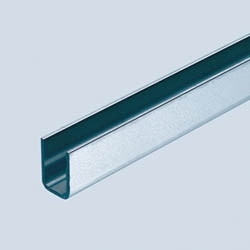 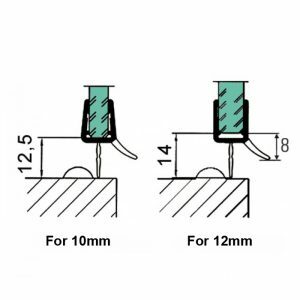 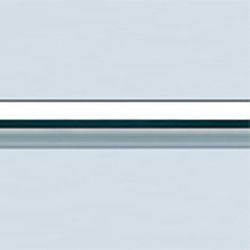 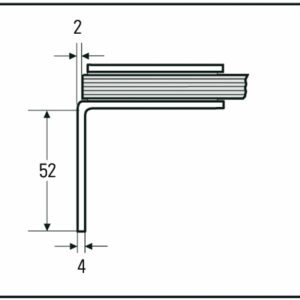 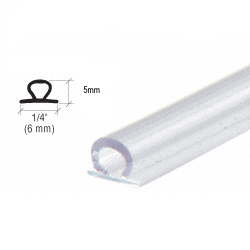 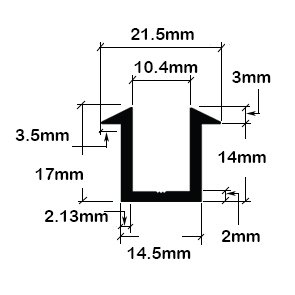 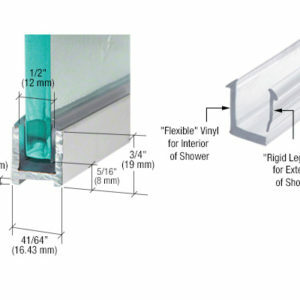 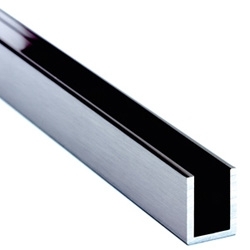 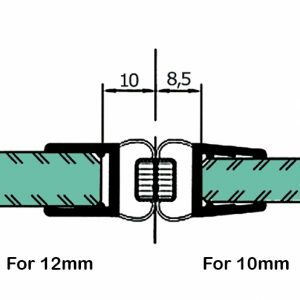 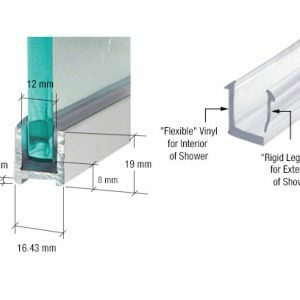 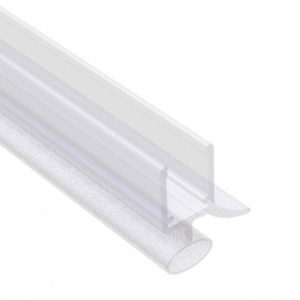 2160mm length, easily cut to required length then push fit onto glass. 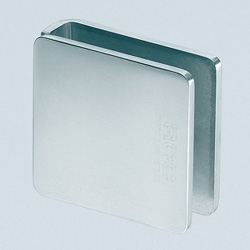 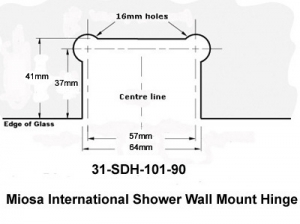 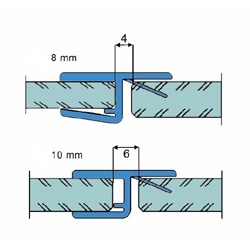 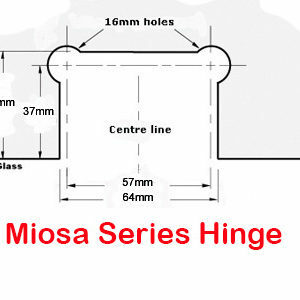 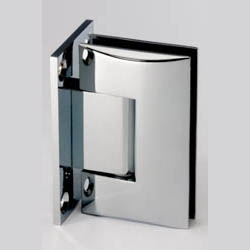 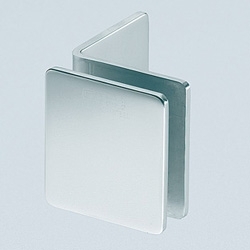 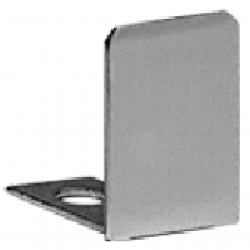 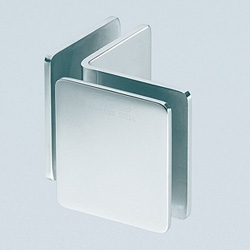 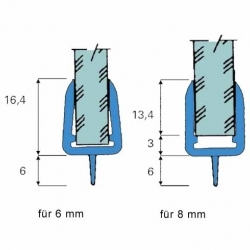 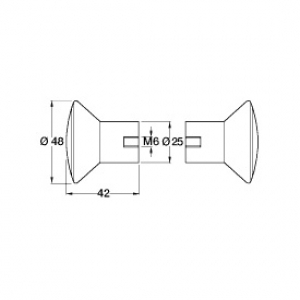 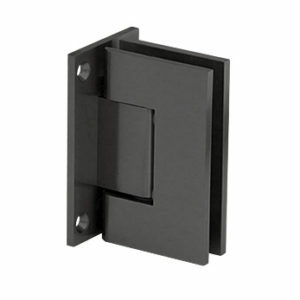 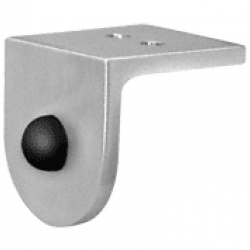 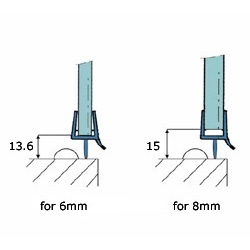 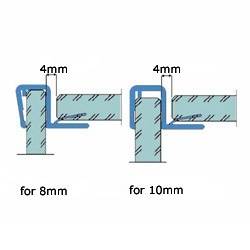 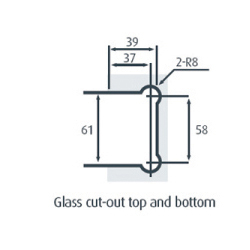 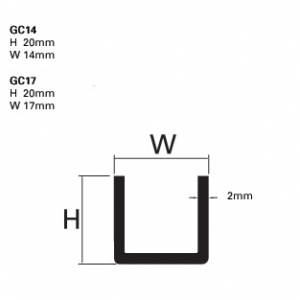 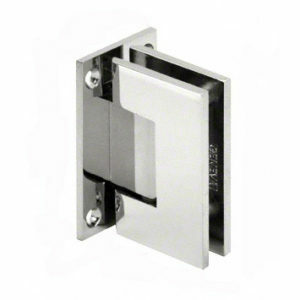 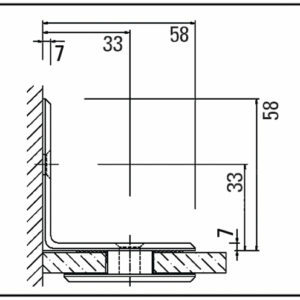 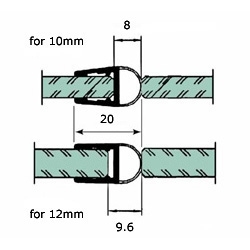 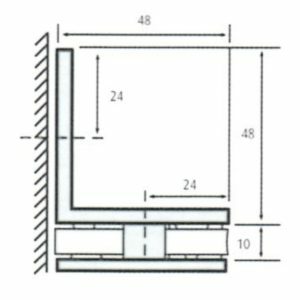 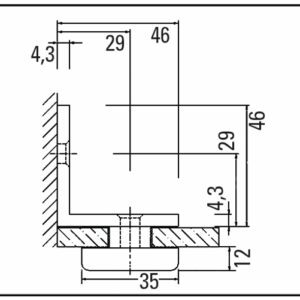 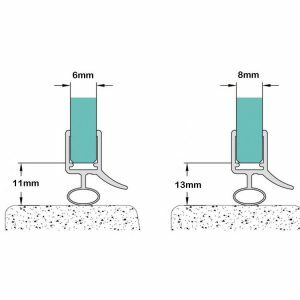 Glass to Wall Clamp, suitable for 8mm - 10mm Glass. 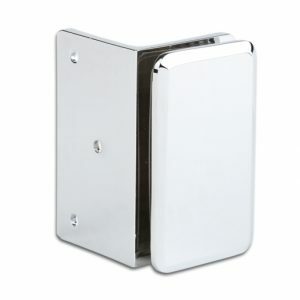 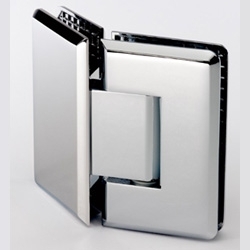 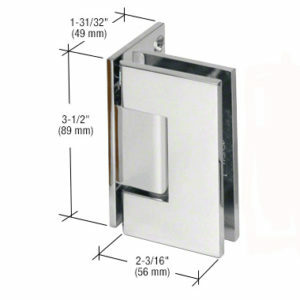 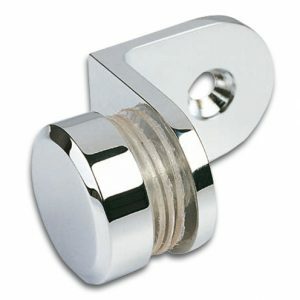 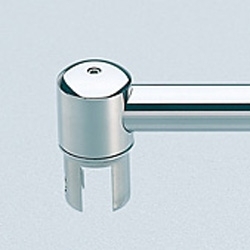 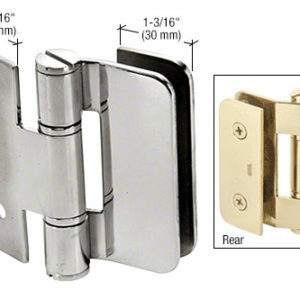 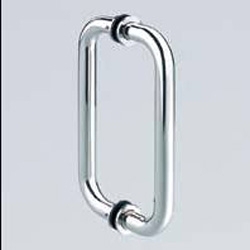 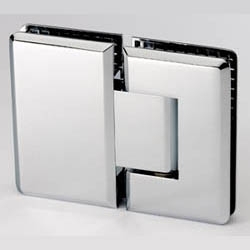 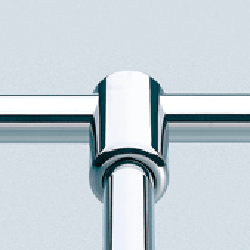 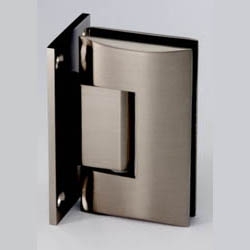 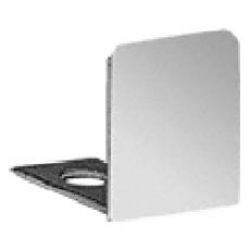 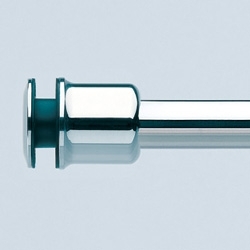 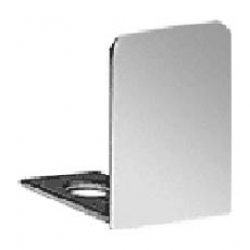 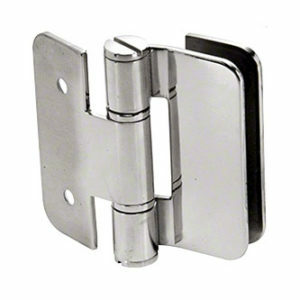 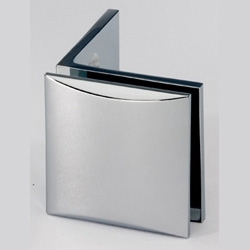 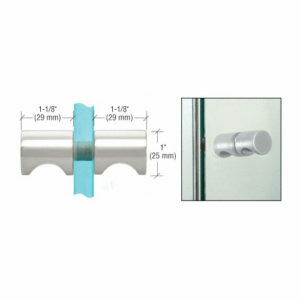 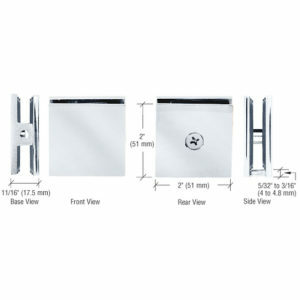 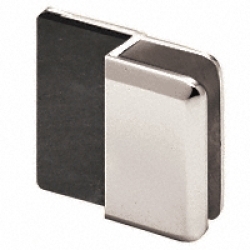 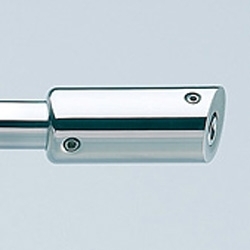 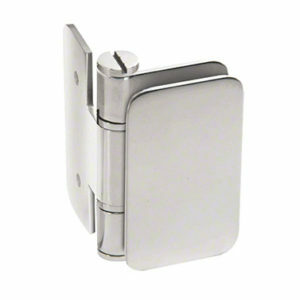 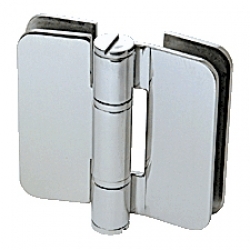 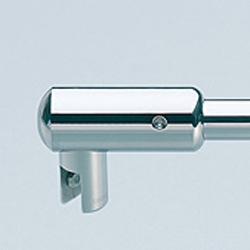 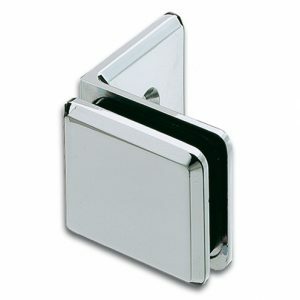 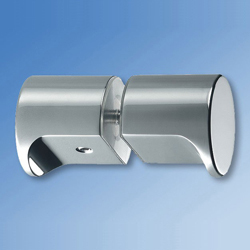 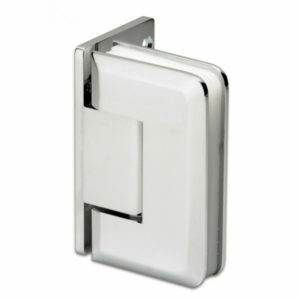 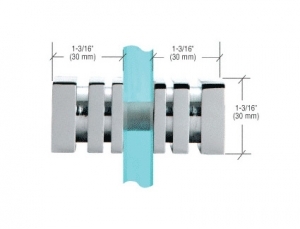 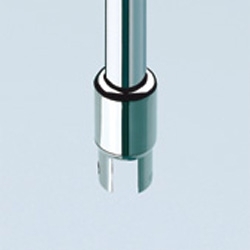 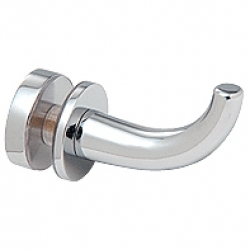 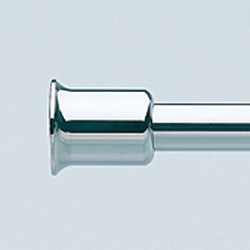 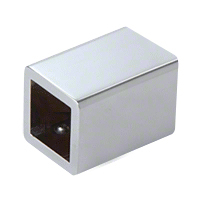 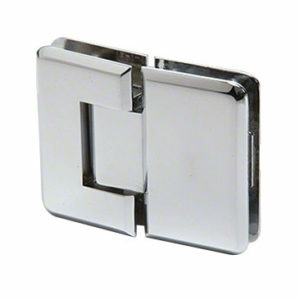 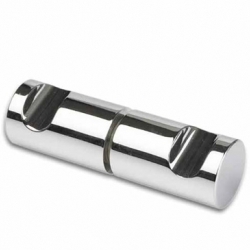 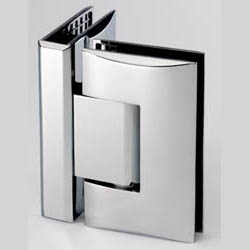 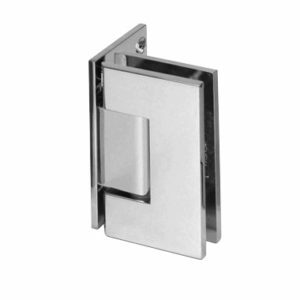 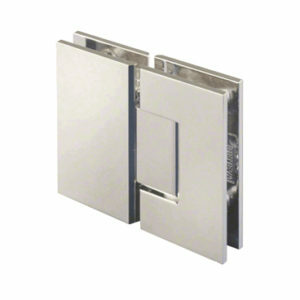 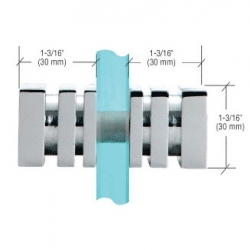 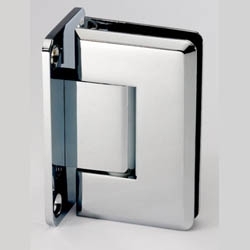 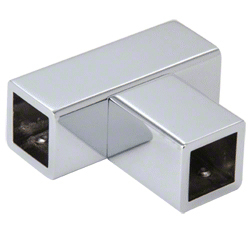 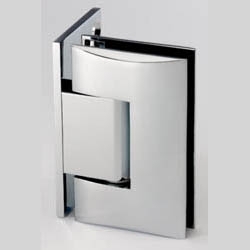 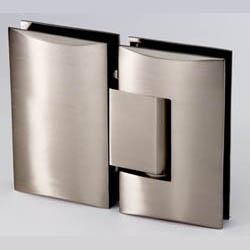 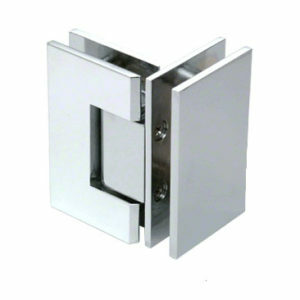 requires 16mm hole in the glass, Solid Brass Chrome Plated.